Is your brain really like a computer? As I’m reading Nick Bostrom’s Superintelligence, I found this article from Aeon about the brain and the bad analogy it suffers from computers. In it, Robert Epstein writes that brains are not at all like computers, but their own organic things. For example, they don’t store information like computers: the author asked people to draw from memory 1$ bills and then to draw them with a reference. The results vastly differ, the first draw being very sparse and the second much more elaborate, showing that our brain has trouble to store that kind of information, unlike computers who don’t have any problem to do it. But here, the author makes a totally different point: you just can’t do it. This is because your brain and a computer aren’t the same things at all, not dealing with the same kind of things : you can’t store memories like a computer can, as you don’t deal with situations like a computer does: when you walk, you don’t calculate the size between your steps, the inclination of your legs, your balance, et cetera. You just do it; as a computer has to all of those things. The author then points out to Stephen Rose book : The future of the brain, who shows that to understand the current state of the brain, you have to get its entire history and the social context of its owner, because you can’t just replicate it like a digitized file : by itself the brain is just cells (neurons) interconnected (synapses), and cells can’t just store things. There is a piece missing in our understanding of our brain — something that we will probably not get until a century — that make things work. But thinking that they work like computers could refrain it. You may have casually heard the expression “Banana Republic” in a conversation, understanding vaguely its meaning but not really grasping where does it comes from, or why it does have this connotation. A small nation, especially in Central America, dependent on one crop or the influx of foreign capital. Well, okay, but why is it used in a pejorative way? And why “Banana”, not something like a “Coffee Republic” or a “Sugar Cane Republic”? This is because you didn’t get the whole story. Meet Sam “The Banana Man” Zemmuray. In his life, Samuel “The Banana Man” Zemmuray witnessed the wake of the first multinationals, the rise and the instability of Central America, the first and second world war, the cold war and the wake of the CIA. But he did not only watch those things happen, he was actively involved in them. And this is much more impressive when you consider that he began as a peasant, and went single-handedly to the top of the world, being the only person competent in managing the biggest corporation of his time and even a kingmaker in some countries. Now is the moment you’re wondering why you never heard of Zemmuray before. Don’t worry, you’re not the only one. I read about him first in Mastery I believe, being presented “The fish that ate the whale”, the guy who started selling a bunch ripe bananas thrown away by United Fruit and ended up owning and controlling this same company, the behemoth who started the trade. But Zemmuray life isn’t limited to this feat. 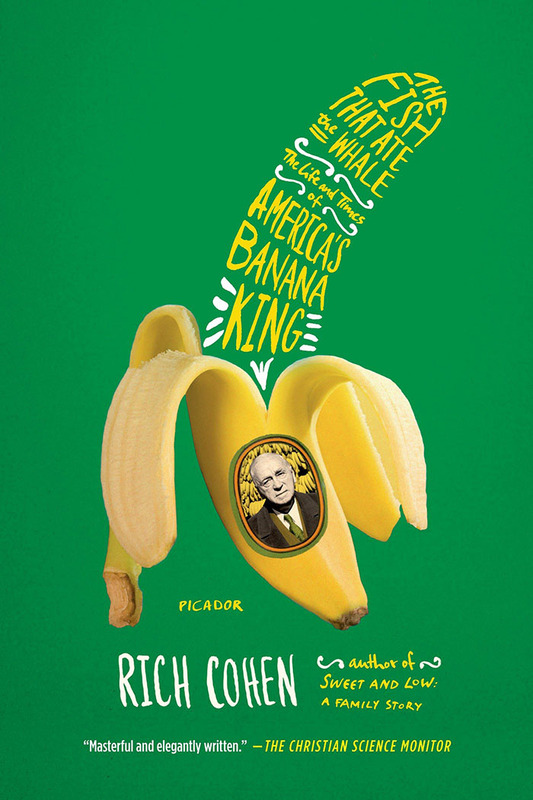 He made the banana the most consumed fruit in the world, produced and sold at dirt cheap prices, even if it was a luxury item at the start of the trade. He also deeply transformed South America, being at the origin of the gringo's reputation, and going so far as indirectly starting the Cuban revolution. When you see what the CIA did in the cold war in Latin America, you can see his shadow behind, trying to protect his interests, going so far as handling the smuggling of the weapons to Honduras and the Bay of Pigs. If you go further east, you’ll still find his fingerprint in Israël, a country he heavily helped to create. What you will find in this book is the life of a man who wanted everything and got more, a man who stayed true to his principles, ho was willing to get his hands dirty to achieve the things that he wanted, finding solutions that no one could have thought, circumventing the problems when they couldn’t be directly torn down. If you didn’t know Sam Zemmuray, now is the time. This article is part of a series called The Book Corner, where I post short reviews of books that I found on the internet and thought they were worth sharing. If you’re interested, you can find more on this page. As a young foreign student, I’m looking to perfect my writing. If you have some time to give me feedback about this article or anything else, please reach out on Twitter or via email. This is greatly appreciated. Thanks! The first work from John Vaillant that I heard of was The Tiger, a story about the last great tiger in Siberia and of the mens who killed it. If the story looks interesting by itself, what was the most striking in this book was the amount of background and the depth of information in it; not only you learn about the story of how this beast was killed and why, but also the mindset of the people in this remote part of the world, the psychology of the animal, and much much more.The first work from John Vaillant that I heard of was The Tiger, a story about the last great tiger in Siberia and of the men who killed it. If the story looks interesting by itself, what was the most striking in this book was the amount of background and the depth of information in it; not only you learn about the story of how this beast was killed and why, but also the mindset of the people in this remote part of the world, the psychology of the animal, and much much more. 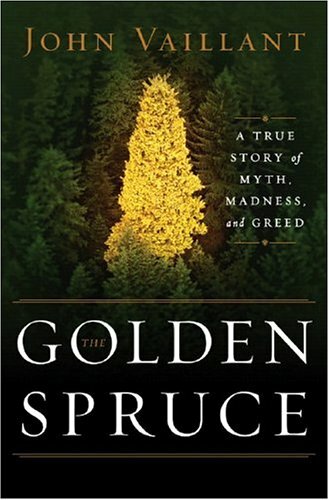 So that’s why, when I stumbled upon The Golden Spruce, I knew I’ll spend a great time. The Great Spruce is Vaillant first book. The story is about why this tree, an oddity grown in the Queen Charlotte Island in British Columbia, Canada, was felled by Grant Hadwin, a logger-turned environmentalist, who wanted to make a point about the practices used by big logging companies like clearcutting and raise awareness on the subject. After I’ve finished it, I was happy to find that I could get the same kind of feeling that I got last summer when I finished The Tiger : knowing about something fascinating I had no idea happened, and having a better account of how people think and act like they do. The Great Spruce is Vaillant first book. The story is about why this tree, an oddity grown in the Queen Charlotte Island in British Columbia, Canada, was felled by Grant Hadwin, a logger-turned environmentalist, who wanted to make a point about the practices used by big logging compagnies like clearcutting, and raise awareness on the subject. If there is someone who deeply influenced me in the last 6 months, it’s Ryan Holiday. Last summer, I stumbled on his monthly reading newsletter (you should subscribe here, it’s well worth it), and I found some great books to read. But if you have to start somewhere, go to his Reading List, and you will find some jewels. To me, this is not only one of greatest books ever written but perhaps the only book of its kind. Just imagine: the private thoughts of the most powerful man in the world, admonishing himself on how to be better, more just, more immune to temptation, wiser. It is the definitive text on self-discipline, personal ethics, humility, self-actualization, and strength. Father this presentation, the only reasonable thing to do was to read it. So I bought an abridged version of it in French last summer. I quite liked it, but I didn’t fully understand what Marcus Aurelius meant in some paragraphs, so this wasn’t the earth-shattering book that I was promised. 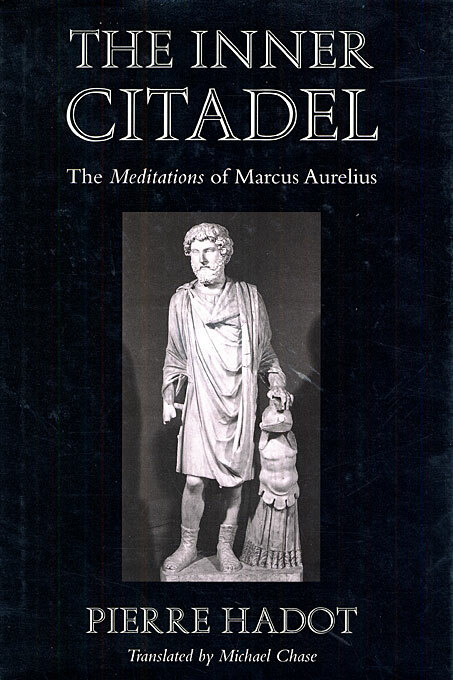 Still intrigued by it, I decided in March to get a copy of the next book on the subject, who purposely could explain to me what Marcus Aurelius really thought when he wrote it, why he uses this style of writing, and, by extent, what really is stoicism. 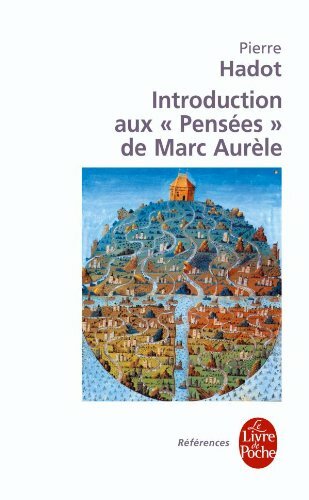 This book was Pierre Hadot’s The Inner Citadel, and I really recommend it to you if you’re remotely interested in stoicism. If you first open Meditations, you will probably find yourself a bit lost. Why does the author write like this? What does he truly means when he says those things? This is because this book wasn’t meant to be read by other people that the author himself. What you will read are excerpts from his personal journal that have been saved from oblivion. That’s why you will find him repeating the same things over and over in the book: he uses it as a way for himself to remember those principles and to apply them every day. What does he mean? Why on earth someone like Ryan Holiday, who read an unfathomable amount of books every month, would abide by this author and stoicism? This doesn’t make sense! This is because Marcus Aurelius doesn’t write this for you, he writes it for himself. When he wrote this sentence, he was reaching the end of his life. So, he wanted to use his time left to act. Now, the sentence doesn’t mean the same thing anymore and doesn’t conflict with the book thirst that you should have in the early days of your life (who should extend in its entirety). This is one of the insights that will give you Pierre Hadot’s book. It does a great job at explaining every difficulty that you could stumble on when reading it. He goes to great lengths to describe difficult concepts and making them accessible. He also compares Marcus Aurelius writing to Epictetus’, from which he deeply inspired himself from, and use it to give a very thorough account of the stoic philosophy. 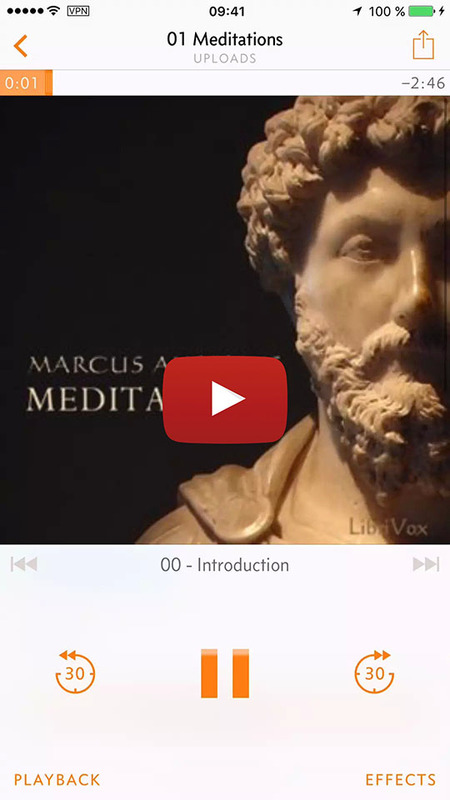 This is why if you’re interested in Marcus Aurelius book, you should read this one first. It removes the possibility of a misunderstanding, and give some rich background to the whole piece. Like many people, I want to read more books that I do. Many times while browsing the internet, I find myself exposed to books highly recommended by people I deeply admire, or people I just know being successful, but I always end up reading the first chapter and then forgetting to check them out, or catching myself daydreaming every two minutes while reading them. At the end of the day, the only kind of books where I can deeply immerse myself in are fiction books, like the new translation of The Lord Of The Rings (that I highly recommend to French people, it's just pure awesomeness), not books like Robert Caro's biographies or Robert Greene's Mastery. But if there is a medium that I love, it's podcasts. I listen to a lot of podcasts during my longs commutes to college, and I don't really have trouble to keep myself focused while listening to them. So, that's why, enjoying a promotion for Audible's subscription, I bought Ashlee Vance's latest audiobook, Elon Musk. What I liked the most in this medium is that you have to follow the pace imposed by the narrator, preventing you to drift into your thoughts and only read 10 pages in an hour. After finishing the audiobook however, I realized something: the Audible iOS app is not as good as it could be. And this is mainly because I was spoiled with one feature: Overcast's Smart Speed. Overcast's Smart Speed works by speeding up the playback during silent breaks, allowing to hear more, while not having to distort the audio like by simply speeding up the playback. And while it's a great feature to have in a podcast, it's a killer one when it comes to audiobooks. So, I spent some time looking on the internet how get Overcast to play my Audiobooks (until Audible calls Marco Arment, and just license his damn implementation! ), and I found two different solutions, each having its own advantages and drawbacks. Here we go! Arment's announcement of this feature was for me both an exiting one, and a watershed. 2 days before, I was finishing to implement my own solution (more below) after spending quite some time to tweak it and making it work. Having him solving my initial problem right after I managed to tackle it was bad luck. Anyways, the Upload feature has some advantages, but it's not the perfect solution for audiobooks. It's very simple to use and directly implemented in Overcast, but you are limited to 2 GB of storage, 250 MB files and you have to be a paid customer (2,99$ for 3 months, it's well worth it) to be able to use it. Then, go to https://overcast.fm/uploads and log in. There, you'll find a list of all your previous uploads and an upload button, where you can... upload your audiobook. You can then find your file directly on the app, under the Upload section. 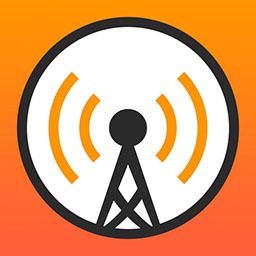 If you find the native solution not customizable enough, or too limited, you can use Podcast Generator to host and publish your audiobooks directly to Overcast, or any podcast player that you want. It's not the simplest solution. If you don't already have a server, I recommend using the cheapest service that you'll find. Podcast Generator is not a resource heavy program, so the hardware won't matter much. The most important thing here will be the storage space. Scaleway looks quite good but is on an invite-list only for now. But something like Digital Ocean or anything else can work. If you think that the advantages are worth the trouble, here's how you can implement it. Download and extract directly the Podcast Generator archive on your server. You can use FTP or wget via SSH. If you use a server on Debian or Ubuntu, the folder with the archive's content should be placed in the /var/www/ directory. Go to the location where the files were uploaded on your browser (for example: http://youripaddress/podcastgen), and follow the instructions. If your audiobook comes in multiple pieces, you can merge them using Audiobook Builder, which will give you a .m4b file with chapters in it. Upload the file via FTP to the media folder. Go to your Podcast Generator admin panel and choose the "FTP Feature (Auto Indexing)" option to add the file to the directory. After the files are properly indexed, you can modify the metadata directly on the panel. 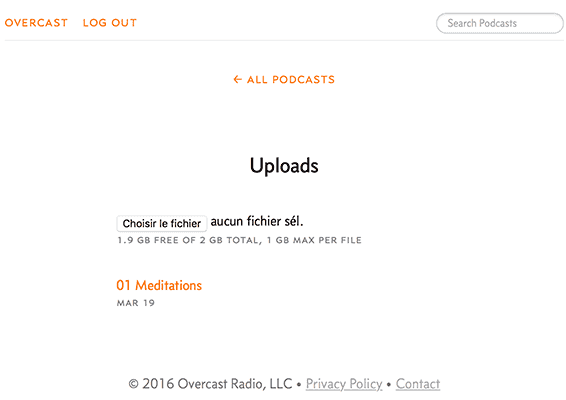 When everything is done, you can add your feed (http://youripaddress/podcastgen/feed.xml) to Overcast, who will fetch the files. 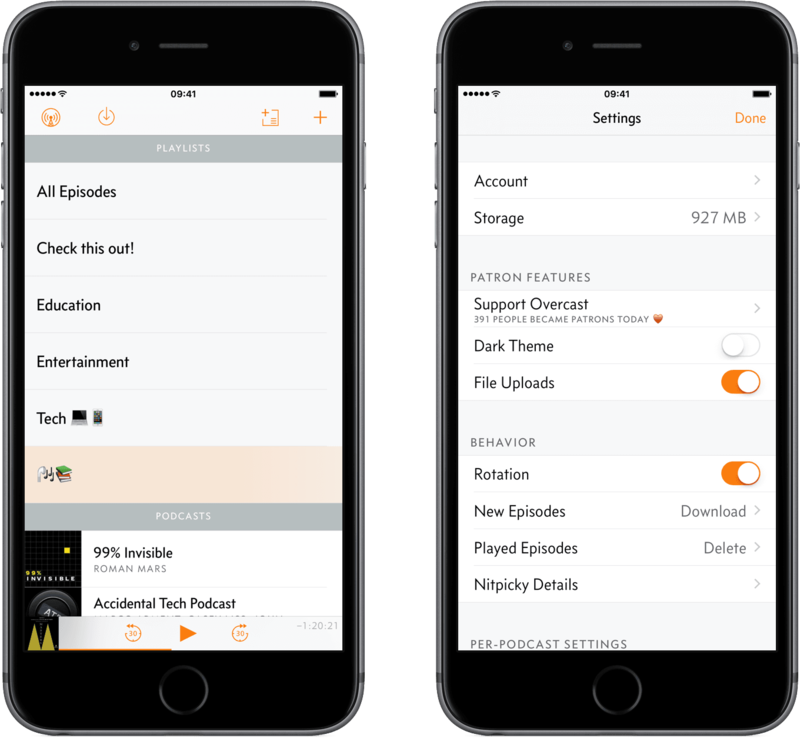 Now, you can use Overcast's great features to listen to your audiobooks!